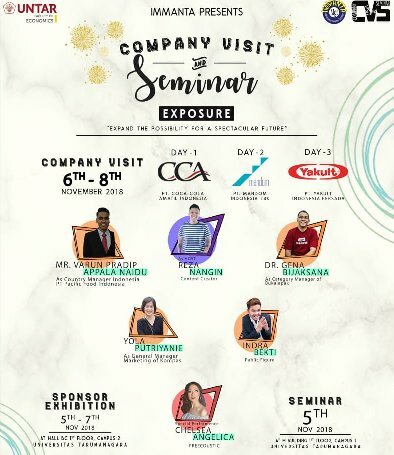 Who is excited for Company Visit and Seminar? Company Visit and Seminar is almost come! Prepare youself to get a possibility for a spectacular future! M building 8th floor, Campus 1 Universitas Tarumanagara.